PADI® is partnering with GoPro to present the three-part Evolution video contest series, which will run through October 2019. Whether it’s a sunken ship in your favorite quarry, an unforgettable turtle encounter or a freedive over a vivid reef, you and your divers have a shot at winning valuable prizes as you show off your video and editing skills. Best of all, the contests are a chance to increase your business by offering specialty courses and camera sales. The CAPTURE contest, which is open for entries from 15April – 30May, asks divers, who are at least 18 years old, to simply capture an amazing underwater experience; the second contest, EDIT, is open 1 July – 15 August and tests your editing skills with a series of clips provided by GoPro; the final contest, CAPTURE/EDIT, opens 16 September – 31 October and requires you put everything together – capturing and editing – into one awesome story. Teach underwater photography. While divers can get tips on how to capture and edit amazing underwater footage from GoPro professionals, consider cross promoting the contest with a PADI Digital Underwater Photographer specialty course. Either offer the specialty on request, or schedule a handful of courses throughout the duration of the contest period (essentially, all of 2019). When selling the Digital Underwater Photographer specialty, point out to your divers that they’ll likely be able to shoot footage during the course that they can then enter in the contest! Consider other specialties. Digital Underwater Photographer isn’t the only specialty you can promote – there are a number of great courses that tie in nicely not just with the contest, but with digital underwater photography as well. Peak Performance Buoyancy is an obvious tie-in because peak buoyancy makes underwater photography more rewarding; Fish Identification teaches divers to identify fish and understand fish behavior better; and, the Boat Diver and Wreck Diver specialties can get divers to environments they may not have dived before, for exciting new encounters. What’s more, if your divers take enough of these specialties, they’re on their way to PADI Master Scuba DiverTM. Sell the hardware. Finally, take this opportunity to sell more GoPro cameras and accessories, or if you don’t currently sell GoPro, consider adding them to you inventory. Only videos shot on a GoPro can be entered into the Evolution contest, so what better way of promoting the sale of GoPro cameras and accessories than by featuring them right next to information about the contests! To help you promote the PADI/GoPro Evolution contest to your divers, there is a full range of marketing collateral and resources on the PADI Pros’ Site. Happy shooting! PADI Master Scuba Diver™ Challenge: Your Chance to Win Back Your 2018 PADI Membership Cost! We have just reached the second half of our PADI Master Scuba Diver (MSD) challenge where you have the chance to win back the cost of your 2018 PADI Retail and Resort Association Membership, plus more! The PADI Master Scuba Diver Challenge was created to increase the sales of your specialty courses and grow interest in the PADI Master Scuba Diver rating. With the competition ending on the 31st December 2018, now is the perfect time to ramp up your PADI Master Scuba Diver specialty certifications and promote the prestigious PADI MSD rating, also known as the ‘black belt of scuba diving’. To help you promote the PADI Master Scuba Diver rating to divers, you can download our FREE PADI Master Scuba Diver Toolkits available in English, Korean, Simplified Chinese and Traditional Chinese. These toolkits also include various print and digital marketing materials needed to promote your campaign. You can also tie the PADI MSD rating in with a FREE PADI MSD Application, available in the Asia Pacific region! Print posters and flyers or incorporate digital banners on your website and in your emails. Bundle specialty courses with core courses- This is a great way to add-value to courses and to introduce divers to different PADI Specialty courses! See the PADI.com/msdchallenge page for inspiration on how to promote your own MSD Challenge campaign. Unique selling point: A Master Scuba Diver rating places divers among an elite group in which fewer than 2% of divers ever join! Specialty courses offer the perfect opportunity to widen the knowledge of your students, better understand their interests as divers, and make sure they come back to do more courses. By completing PADI Specialty courses, students will also be one step closer to the highly regarded PADI MSD rating! Get involved in the MSD Challenge today! The PADI Master Scuba Diver Challenge is Back! Increase your PADI Master Scuba Diver (MSD) certifications and you could win back the cost of your 2018 PADI Retail and Resort Association Membership, plus more! Join the PADI MSD Challenge today! The PADI MSD Challenge is an exciting contest being held from the 1st of July 2018 until the 31st of December 2018. If you are an eligible PADI Dive Center or Resort you will have the opportunity to increase your PADI Master Scuba Diver ratings by growing your continued education certifications between the two contest dates. You can also tie this in with a free PADI MSD Application, available in the Asia Pacific region. How does the MSD Challenge work? PADI will track your MSD ratings during 1st July 2018 and the 31st December 2018 vs the same calendar period in 2017. The PADI Dive Shops with the biggest percentage increase in each category will win. One free 2018 PADI Retailer & Resort Association Membership renewal*(refunded), gift packs with a PADI backpack, polo shirt, t-shirt, cap and water bottle. 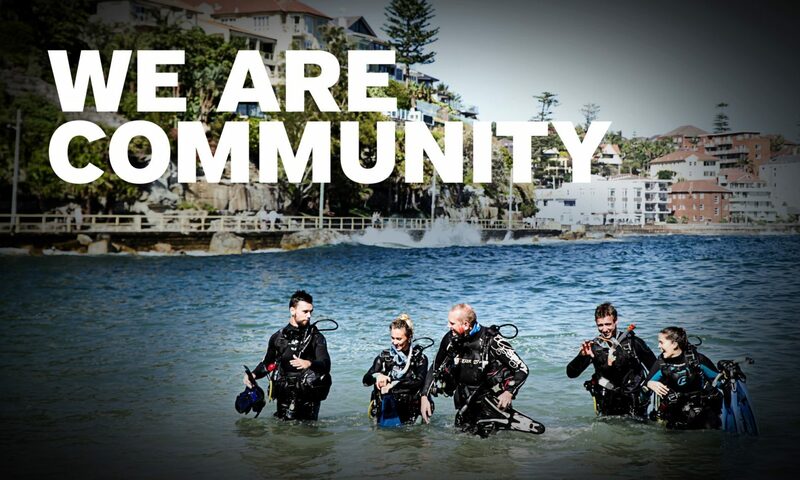 One AU$300 PADI Gear Voucher. Total Retail Value: AU$900 plus 2018 PADI Membership renewal fee* (AU$236.00-Au$1513.00, excluding GST, depending on Membership level). Five PADI gift packs with PADI backpack, polo shirt, t-shirt, cap & water bottle. One AU$150 PADI Gear Voucher. Total Retail Value: AU $750. Please refer to the official contest rules here. To help you promote the PADI Master Scuba Diver rating to divers, you can download our free Master Scuba Diver Toolkits. This includes various print and digital marketing materials needed to promote your campaign- available in English, Korean, Traditional and Simplified Chinese. Unique selling point: A Master Scuba Diver rating places divers among an elite group in which fewer than 2% of divers ever join – This course is the black belt of diving! We all know kids are the future, and the sooner we encourage them to learn about and love our underwater world, the more equipped they’ll be to protect it. Since 2012, PADI AmbassaDivers Young Ocean Explorers have been on a mission to inspire kids to love our ocean through entertaining education – and now they’ve taken it to the next level. Their new interactive website is home to countless games, quizzes and videos that highlight the importance of caring for our oceans. Together with NZAEE Seaweek, Young Ocean Explorers is offering students and their teachers the chance to win over $20K worth of prizes for themselves, their classroom and their school. Entering the contest is easy – simply visit their website and sign up! Not only will you have the chance to win one of five incredible prize packages but you you’ll get access to hours of educational fun. Entry is only open to teachers and students in New Zealand, so if you’re not eligible, feel free to pass the opportunity on to someone who is. Even if you’re not eligible, you can still sign up to access the incredible resources. Over the past 50 years, PADI has been The Way the World Learns to Dive – and we couldn’t do this without our PADI Pros. PADI Pros change countless lives each year by inspiring divers and teaching the skills required to explore the underwater world. We want YOU to nominate a fellow PADI Instructor, Divemaster or Assistant Instructor who has had a significant impact on your path to becoming a PADI Pro. We want to hear how they inspired you, mentored you and developed your skills – and what makes them such a special part of your professional journey. Enter today and you could be in with a chance of winning top prizes from Suunto, Zeagle, BARE and Atomic Aquatics. Prizes will be awarded to both the person who nominates their favorite PADI Pro AND the PADI Pro who is nominated – so don’t forget to also encourage your students to enter their nomination. Complete the form on our contest entry page. We’ll need a few details about you and your chosen PADI Pro, and your written nomination (in 600 characters or less). You can also choose to upload a photo/video of you and your chosen PADI Pro. All entries must be received no later than 23:59 UTC on 11th December 2016 (visit the contest page for full terms and conditions). 1st Place: The entrant wins a SuuntoEON Steel Dive Computer and their Pro wins a Zeagle F8 Regulator! 2nd Place: The entrant wins a BARE Reactive Wetsuit and their Pro wins a set of Atomic X1 BladeFins! 3rd Place: The entrant and PADI Pro each win PADI Swag worth up to $100 each! This year marks PADI’s 50th anniversary. We’ve loved our time in the diving community and are proud to continue to serve PADI Members and divers as best we can. So to celebrate this milestone, we held a contest asking PADI Pros and divers alike to submit photos, videos, and stories to share their favourite moments in diving over the past 50 years. We were delighted to receive nearly 6,000 entries from all over the world and loved seeing the ocean through so many of your eyes. After going through all the entries, we were finally able to make the difficult decision of picking our top three winners in each category. We’ll start with our first place winners. This photo, captured inside the famous Mexican cenote, is absolutely breathtaking. We love the silhouette of the diver against the unique backdrop of this freshwater pool. Tom’s photo has won him a GoPro HERO4 package! Alex’s video showcases the Perhentian Islands so well that it convinced a few of us to add this to our future dive vacation bucket list – and we can’t get enough of that clown fish! Congratulations to Alex who has won an Aqua Lung CORE regulator. Leda’s determination and courage shown in becoming a PADI diver inspired us and brought smiles to our faces. We’re proud to be associated with such strong divers, and are excited to share this story with our community, which has won Leda a Suunto D4i Novo dive computer. Congratulations to all our first place winners, and thank you for sharing your favourite diving moments with us. We also congratulate our second and third place finalists, whose submissions we loved too. Sharks are always a favourite – and this one wins Brian an awesome PADI swag bag. Third Place – ‘Two Humpback Whales,’ by Sergio Nogueira Jr.
We can’t help but smile whenever we look at Sergio’s photo and as our third place recipient, he takes home Vivid-Pix photo editing software. We can’t get enough of these videos that showcase an area so well. Congratulations Ian who has won a fantastic PADI swag bag. Winning Kai a copy of Vivid-Pix photo editing software, is his video showing off the spot where he did his Divemaster program. We can all relate to the feeling of being connected to other divers, regardless of the languages we speak. Amy has won a PADI swag bag for sharing her story. Danielle’s story of connecting with her mother through diving is so touching. She has won Vivid-Pix photo editing software. Once again, huge congratulations to all of our prize winners and thank you to everyone that got involved by sharing their favourite diving memory. This year marks PADI’s 50th Anniversary, and to help us celebrate this milestone, we’re calling on PADI Professionals to share their favourite diving moment from the past 50 years. Enter your favourite diving moment by uploading a photo, video or story and you could win one of these incredible prizes: an Aqua Lung CORE Regulator, a GoPro HERO4 package, a Suunto D4i Novo Dive Computer, Vivid-Pix photo editing software or a PADI eLearning Gift Pass/Gift Bag. Be sure to get your customers and students divers involved too. They can also share their top underwater memories – even if they only happened today! OR enter your photos/video by including #PADI50Years on Instagram or Twitter. The contest is open now and entries close on 10th July, 2016 (23:59 UTC). If you regularly dive, teach, or run your PADI business from one of the world’s more unusual diving locations, submit a photo or video of your most extraordinary dive and you could win one of three cool prizes! Enter your details on the PADI Facebook Page Contest Tab and upload either your photo or video along with a short description of your dive and what makes it unusual. Entries must be submitted before 11.59pm UTC on 16 June 2015. PADI staff will shortlist 10 finalists after the entry period closes. These 10 finalists will be listed on the contest page for public vote between 19th-26th June 2015. The three entries with the highest number of votes will be chosen as 1st, 2nd and 3rd Place Winners. The Winner (1st Place) will get a GoPro video package which includes: One Hero4 Silver camera kit, 2X filters, 1 dive housing and 1 camera tripod. Two runner up winners (2nd Place and 3rd Place) will each win a Quik Pod DSLR/POV Ultra selfie stick, a Quik Pod Floating Lanyard and a PADI Prize Pack/Swag bag. Divers visit PADI’s Facebook page and click the Refer A Friend tab. After liking PADI’s page, the diver clicks a link to share the special offer to their wall. After sharing the promotion, the diver receives a claim code for $10US off a PADI eLearning course. Friends and family members of that diver who would like $10US off a PADI eLearning course can re-share the deal and receive a code of their own… and so on and so on. Please note: the promotion begins the week of 4 August 2014. The eLearning discount is the first of three special deals that will be offered in the coming months. The special offer will be revealed and the user must share the special offer to their personal Facebook wall in order to receive the deal. Once shared to the user’s wall, a promo code will appear. Each code can be used only once and it has a set, solid, no kidding expiration date. In the case of the eLearning promotion, the coupon must be redeemed during the month of August 2014. This promo code is displayed on screen and also emailed to the student. The code is used during the eLearning checkout process to redeem the $10US discount. If redeemed in a country outside the US, the value will be at parity with USD. Coupon codes cannot be combined. The max discount per user is $10US. For issues claiming codes, contact support at coupsmart dot com. For issues specific to eLearning contact 800 729 7237 ext. 2495 or customerservice at padi dot com. As every diver knows, it’s nearly impossible to describe the underwater world in mere words. And while there’s nothing like actually being there, a great underwater video can enchant even the stodgiest land-lubber. So PADI has partnered with GoPro to incentivize divers to create and share underwater videos. Divers who upload a video to YouTube or Vimeo and post it to ScubaEarth will be eligible to win a new GoPro Hero3+ with underwater housing, mount, and two filters. A new winner will be selected each month from February through July 2014. 2. Upload the scuba video to YouYube or Vimeo and copy the link. 4. Send a message to the ScubaEarth Community Manager* with a link to the video. 5. A new winner will be chosen each month from February through July 2014. ScubaEarth members can enter up to two videos per month – and yes, PADI Pros are eligible to enter! Videos should be no more than 5 minutes in length and promote the scuba diver lifestyle including topside and/or underwater highlights of a dive destination including, but not limited to, underwater animal life and divers exploring the underwater world. Videos that include footage of divers touching marine life or the reef, including artificial reefs such as wrecks, will be disqualified. For additional details, including the official rules, visit scubaearth.com/goprovideo. * Every ScubaEarth member is automatically associated with the ScubaEarth Community Manager, but if you are such a popular diver that you can’t find the Community Manager amongst all your buddies, use the search box to locate the Community Manager’s profile.